Students, teachers, & stakeholders developing and empowering student-directed learning to succeed in the global community. Nestled by a rustling creek, lies the best kept secret in GA - Tiger Creek Elementary. TCE is a loving school-community where every family and child is valued and supported by master teachers, as they are challenged with high expectations. Entering the school, you immediately feel the positive, inviting feeling that is evident throughout the building. Parents are viewed as partners and are invited to have training on the newest issues. Teachers and staff give of their personal time to make sure the students have opportunities to enrich their lives - whether it is in fine arts such as drama and music performances, athletic activities such as track, or educational projects such as 4-H and reading promotions. STEM (Science, Technology, Engineering, and Math) is being emphasized at Tiger Creek. 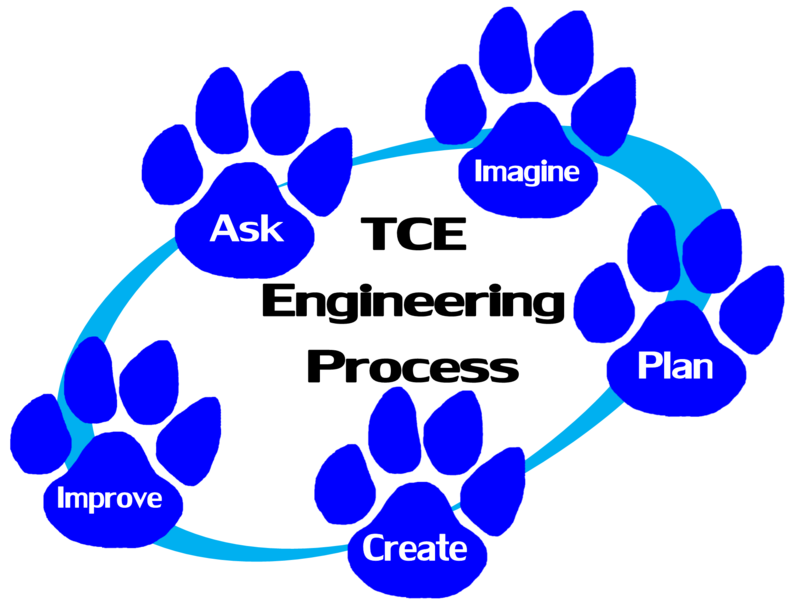 Students are involved in STEM days at the end of each month with an emphasis on the TCE Engineering process shown above. See "TCE STEM" under "Academics" tab form more information. TCE is more than a school - it is the door to success for the future! Come in and join us on our educational journey.